"Nutrient Content: high in protein, prebiotic ﬁber, antioxidant vitamins a A and C, B vitamins, dietary minerals Phyto Phytochemical Content: high in carotenoids (alpha- and beta-carotene, beta-cryptoxanthin, lutein, violaxanthin), polyphenols (quercetin, gallic acid, gallotannins, rhamnetin, cyanidin and xanthone glycosides, including mangiferin, mainly in skin). Among the world’s most widely cultivated and most popular fruits, the mango originated in the Indian subcontinent and Asia. Mangoes account for about half of all tropical fruits produced in the world. 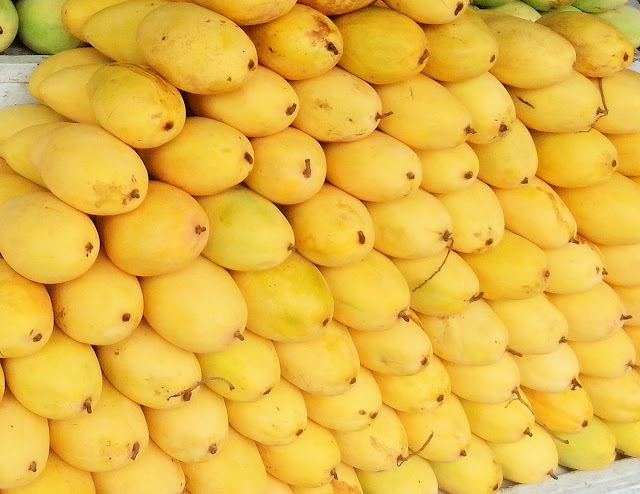 With United Nations estimates of worldwide production at more than thirty-three million tons annually, mango is one of the most widely consumed among the top twenty superfruits. Delicious in their various tastes, colors, and sizes, mangoes come in some fifty cultivars. Four of the most popular are the Palmer (red, elongated), Tommy Atkins (red-tan or orange-yellow-green, plump), and Alphonso and Ataulfo (both yellow, kidney-shaped); all are rich in flavor. The mango has a firm, fragrant, and visually appealing internal pulp, usually golden and like a cantaloupe in texture, flavor, and color, although with a denser fruit body and less moisture. The mango is particularly high in superfruit signatures—prebiotic dietary fiber, vitamin C, carotenoids and polyphenols. The mango also contains a broad range of essential nutrients at good to excellent levels for dietary reference intake, especially the dietary antioxidants vitamin A (from carotenoids) and vitamin C. Vitamin B6 (pyridoxine), other B vitamins, essential minerals, amino acids, and omega fats are at good levels. As discussed in Part I, many of these essential nutrients are required for health because they are involved in diverse biological processes in the body. 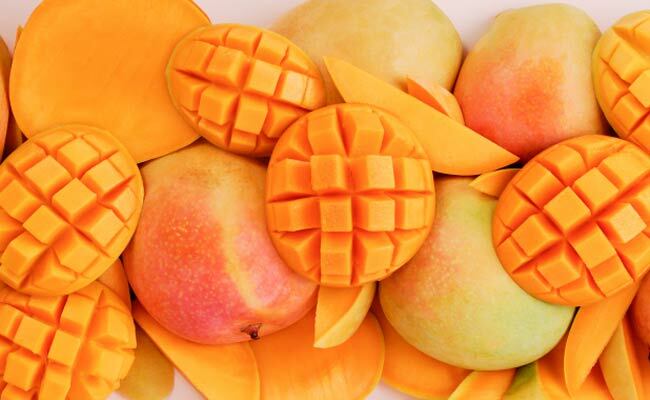 Among all superfruits, mango provides the most comprehensive nutrition, popularity of taste, and versatility of uses across many world regions. The mango’s edible peel and pulp contain both types of pigments—carotenoids and polyphenols. As many as twenty-five different carotenoids have been isolated from mango pulp, the densest content of which was beta-carotene (a provitamin A compound), accounting for the yellow-orange flesh of most mango species. As health-promoting prebiotic fiber, polysaccharides (long-chain sugar molecules natural to plants) are also a major mango constituent of value for your diet. The peel and pulp include carotenoids (provitamin A beta-carotene, lutein, and alpha-carotene as possible antioxidants) and polyphenols, lupeol and a unique phytochemical called mangiferin, a specific mango extract under study for its antidisease properties. Although mango skin offers extra nutritional benefit of dietary fiber, carotenoids, and polyphenols, not everyone enjoys its more fibrous texture, and the majority of users would likely exclude it. However, if steamed or in a stir fry, the skin will soften and become less chewy. Also, rarely, some people may be sensitive to a natural chemical in mango skin called urushiol that can cause skin blisters. The range of research on mangoes covers nearly every area of nutrition and common human diseases. Over the past decade, Cuban and Spanish scientists have examined several disease models using Vimang, a blend of extracts from different parts of the mango fruit and tree. Vimang is a concoction rich in mangiferin and has experimental effects against certain types of allergens, inflammatory substances, and pain. In one 2008 experiment, Vimang improved memory and other signs of neurological function in rats. In addition, a mangiferin-enriched compound made in India from mango tree leaves showed antibiotic activity against specific dental bacteria in human subjects, indicating that toothbrushing with mango extracts could benefit oral hygiene. Also of research interest is mango lupeol, a natural terpene demonstrating an array of biological activities against inflammation, arthritis, DNA damage, and malaria in both test-tube and animal experiments. Interest in developing lupeol-based anticancer agents has led to discovery of numerous highly active derivatives exhibiting significant potencies and therapeutic indications across different types of cancer. Although more research is needed to clarify cancer-preventive compounds, extracts of mango and its juice were shown to inhibit cancer cells in laboratory experiments. One practical outcome of research on a fruit is its widespread application as a food for alleviating diseases associated with malnutrition. Particularly in impoverished western Africa, mango is a practical food source of nutrients, especially provitamin A carotenoids, dietary fiber,and vitamin C—each essential for relief from childhood malnutrition and recognized by international organizations assisting famine regions of Africa. "1. As an antioxidant Mango fruit has a high content of vitamin C as an antioxidant, so it can counteract free radicals. In addition, mangoes also contain beta-carotene. Beta-carotene is a substance that is later converted into vitamin A in the body. This vitamin is good for eye health. With vitamins that are antioxidants, the mango can protect the body from cancer. 2. As an energy source Mangoes contain sugar sucrose which makes mango is sweet. With the sugar content, mango fruit is a source of energy for the body. Although the sugar content in mango is not much, mango can be consumed as an energy boost. Ripe mangoes has more sucrose than raw mangoes, so it has a higher energy when compared to the raw mango. 3. Maintaining healthy teeth and gums In addition to functioning as an antioxidant, vitamin C in the mango also maintaining healthy blood capillaries, teeth and gums. 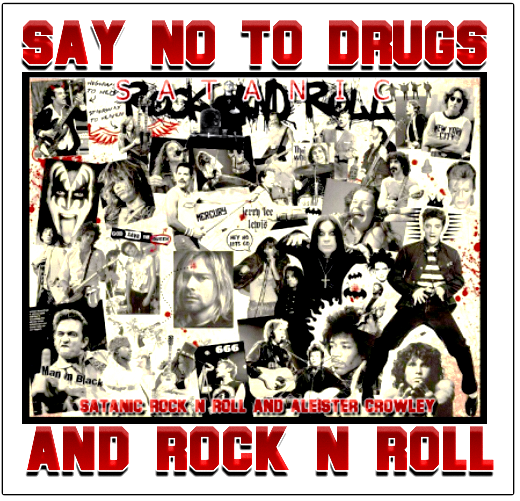 It helps the absorption of iron and can inhibit the production of natrosamin or cancer-triggering substances. Vitamin C is also able to help the healing of wounds. 4. Assist the process of digestion Benefits of mango fruit in helping the process of digestion due to high fiber content. This fiber can prevent constipation. In addition, the mango fruit also contains digestive enzymes that help process protein breakdown and can also soothe the stomach by preventing acidity excess. 5. Prevent Cancer Research has shown antioxidant compounds in mango fruit has the ability to protect against cancer of the colon, breast, leukemia and prostate. These compounds include quercetin, isoquercitrin, astragalin, fisetin, gallic acid and methylgallat, as well as the abundant enzymes. 6. Lowers the risk of stroke Mango contains potassium which can reduce the risk of stroke. Potassium is a substance that serves to activate muscle contractions, increased heart rate regularity and helps blood pressure. Consume enough potassium can help reduce the effects of sodium in raising blood pressure and may reduce the risk of stroke. 7. Preventing Heart Disease Mango is an excellent source of vitamin A, vitamin E, and selenium which help protect against heart disease. Mango fruit is also rich in vitamin B6, which plays a role in preventing heart disease by lowering homocysteine ​​levels (Homocysteine ​​is an amino acid in the blood that damages the lining of blood vessels). 8. Lowering Blood Pressure Due to the mango potassium content, may assist in regulating blood pressure levels. Therefore, eating a mango on a regular basis can help lower blood pressure. 9. Improve memory In mangoes contain sufficient acid glutamine. This compound is able to assist you in improving memory. 10. Making better quality of the marital relationship Vitamin E is contained in mango fruit can improve the quality of the marital relationship and also increase the fertility of the reproductive organs. 11. Healthy eyes Vitamin A contained in mango, 255 meet the daily needs of our bodies and according to some research by consuming mango fruit regularly can reduce the risk of night blindness.